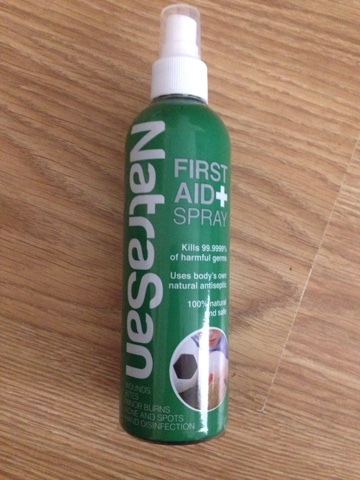 63 comments on "NatraSan First Aid Spray - Review & Giveaway"
We are going to Lyme Regis - and we are very excited to go and look for fossils! Taking my nephews camping for the first time. I'm excited about going to Egypt and seeing the pyramids! Something just for me, I'm going go-karting with my Dad for my birthday! My holiday to Egypt - but I've just come back :( Want to go again! I'm excited to celebrate my daughter's birthday and my anniversary at the end of the summer. going to the in-laws caravan in wales for a few days break. I'm excited about going away on my first holiday abroad to Turkey this summer. Now the weather is brightening up taking my little girl to the local splash pool. If we get any more summer then it'll spent preparing my toddlers for water fights to soak Daddy when he comes home from work!